# = Added or updated this week. Address: 404 W Main St.
* Audio & Video: Standard YouTube License. ** Additional information on the Marimba Concerto webpage. Additional information on: Chamber Orchestra Works webpage. * Audio & Video: ℗ 2017 Portland Youth Philharmonic. Tomas Svoboda has moved to a residential care home located in southeast Portland, Oregon, where he is able to receive 24/7 assistence and more opportunities to interact and go on special excursions around the state, with fellow residents, under the guidance of the care facility staff. Tomas is continuing his various therapy sessions, but has yet to resume his composing endeavors. For those friends and former colleagues who wish to visit Tomas; and he does love to have visitors, do call ahead to see if he will be available that day. For those who wish to send their best wishes, you may send your cards or letters to the address below. More information: about this concert. * Redistribution of the score, audio or video files by any method or in any format is prohibited without written permission from the copyright owners. stroke, which left him comatose and which the prognosis was that he would never regain consciousness. Not accepting that diagnosis, the incredible pro active endeavors by his wife, Jana Demartini; his daughter, Lenka; and his son, Martin; saved Tomas' life. Though the recovery over the past 3 years has been extremely difficult and continues to be challenging, this recent photo shows that Tomas' spirit and zest for life has returned. To all those who have visited him, written to him, said prayers for him over the past 3 years, know that he and his family are so grateful for your kind thoughts and efforts to lift his spirits, as well as your emcouragement in his recovery, as it has truly helped him during his arduous, challenging, daily and weekly therapies that he's had to go through and continues to have to endure on his long journey back to being able to compose again. Emails may also be sent via this website (info@TomasSvoboda.com) and they will be forwarded to Tomas' family for reading to Tomas, but he will not able to respond personally, due to his current medical condition. Title: "After a massive stroke, Portland composer plans to attend concert by his Czech mates." Tomas Svoboda continues his recovery at home in Portland, Oregon. The effects from a massive stroke suffered on Dec. 12th 2012 continue to present great challanges for Tomas, but he has a positive attitude and is working very hard to regain the use of his right arm and right leg. With assistance, Tomas is now able to stand up and walk a short distance with a brace on his leg. Though he has not yet returned to composing, he says he's hearing music ideas in his head again, so that is a very promising development. For those who play chess, Tomas is now playing chess again, so if you visit, ask if he's up for a game. Lastly, one should call before visiting, to see if Tomas is home, as he will continue to have many medical appointments and therapy sessions. On Sept. 12th, Tomas Svoboda returned to his home in southeast Portland, Oregon to continue his recovery from a massive stroke suffered on Dec. 12th 2012. His whole family was there for the weekend to celebrate his homecoming. Tomas is so excited to finally be back home and looks forward to having friends and colleagues visit him there. Those wishing to visit Tomas should wait until the week of Sept. 22nd to do that. One should also call before visiting to see if Tomas is home, as he will continue to have many medical appointments and therapy sessions. Keep in mind, also, that Tomas will be taking regular daily naps between 1:30 - 2:30PM. Tomas Svoboda's recovery from the stroke he suffered Dec. 12, 2012 continues, though slowly. He still resides in an Adult Care Home near his own house in southeast Portland, Oregon. Though paralyses in his right arm and leg persist, he has has become able to lift his right leg off the floor. His conversational ability has shown the most improvement since last summer, though recent adjustments to his medications sometime cause him extreme fatigue, lack of concentration and sleepiness. He nevertheless, has enjoyed a few recent "outings" to social events and at least one concert and still thoroughly appreciates the visits, cards and letters from friends and music colleagues. For those who wish to send their encouragement and best wishes, you may send your cards or letters to the address below. Visiting hours are between 9am & 7PM. His lunch and dinner times vary, but are approximately between 12PM-1PM and 5PM-6PM. To check if Mr. Svoboda is available for a visit, the foster home phone number is: (503) 777-5552; ask for Augustin or Anna. If visiting, please remember to leave a note in Tomas' "Visitor's Book". Tomas Svoboda continues to show improvement in his recovery from the stroke he suffered Dec. 12, 2012. He is still residing in an Adult Foster Care Home near his own house in southeast Portland, Oregon. Though the paralysis in his right arm and leg persists, his conversational ability has shown the most improvement since summer and he's enjoying the visits from friends and music colleagues greatly. Tonight, Mr. Svoboda will be celebrating his 74th birthday (Dec. 6, 1939) by going out with family to enjoy one of his favorite foods...sushi...and will return to his care home to listen to a KQAC-FM ("All Classical Portland") broadcast of his CONCERTO for Clarinet & Orchestra during the program "Club Mod" (8-10 PM), hosted by Robert McBride. Visiting hours are between 9am & 7PM. His lunch and dinner times vary, but are approximately between 12PM-12:30PM and 5PM-5:30PM. To check if Mr. Svoboda is available for a visit, the foster home phone number is: (503) 777-5552; ask for Augustin or Anna. Tomas Svoboda was transferred on April 30th to an Adult Foster Care Home near his own house in southeast Portland, Oregon. For those who wish to send their best wishes, you may send your cards or letters to the address below. Visiting hours are between 9am & 8PM, except between 12PM-12:30PM and 5PM-5:30PM (lunch and dinner hours). 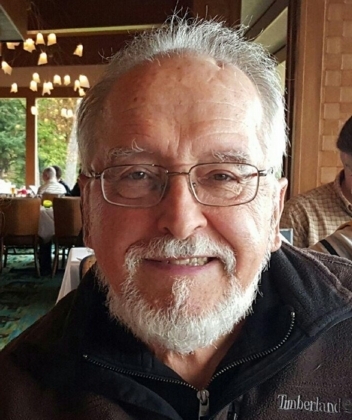 Tomas Svoboda was moved April 11th to the Rehabilitation Institute of Oregon (RIO) at Legacy Good Samaritan Medical Center in Portland, Oregon, where he will undergo various comprehensive therapies administered by an interdisciplinary team of physicians. newspaper, has written an informative article on Tomas Svoboda's slow recovery from a massive stroke, which occurred last December 12th in Portland, Oregon. The article also covers the upcoming World Premiere this Thursday night (April 18th) of Svoboda's CONCERTO for Clarinet & Orchestra, which was commissioned by the Eugene Symphony Orchestra. Published this morning, the article can be found on the OregonLive.com website. AUDIO SAMPLES: There are now 260 audio samples of Tomas Svoboda's music on this website. SHEET MUSIC SAMPLES: There are now 900+ pages of sample sheet music on this website. Additional audio clips and pages of sheet music will be added for those compositions not yet having them. SHIPPING POLICY: FREE SHIPPING now available for all orders over $20.00 (U.S. retail sales only). Choose "Media Mail" when ordering. 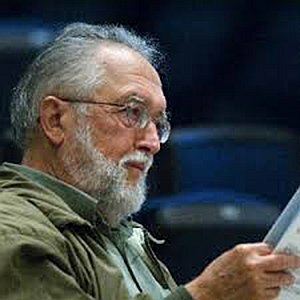 It was with deep sadness by both Tomas Svoboda and this Publisher, to hear of the passing of the internationally renowned conductor James DePreist on Feb. 8, 2013. James DePreist not only commissioned Tomas Svoboda's Marimba Concerto while Music Director of the Oregon Symphony Orchestra, but he also wanted this work included on an "all-Svoboda CD" and the recording of that composition received a 2003 GRAMMY Nomination. In addition, James DePreist shared another work by Tomas Svoboda: Overture of the Season, Op. 89 with other major orhestras around the world, such as the Philadelphia, Boston, Monte Carlo and Sapporo (Japan) symphonies. "When Maestro DePreist saw the newly published score of Tomas Svoboda's Symphony No. 5 (in Unison), Op. 92 (ca. 1986), he immediately recognized the significance and uniqueness of a "unison" symphony in the historical context of orchestral literature. I suspect the fact it was Tomas's 5th Symphony was not lost on him either. "James DePreist could have conducted the premiere of this symphony himself, but he chose instead, to share with his audiences the special memory of witnessing the world premiere of a monumental work, conducted by its composer, Tomas Svoboda. "I was sitting in the front row, to the right and very close to the podium, on the first night of three performances. Tomas Svoboda suffered a massive stroke on the evening of December 12th 2012. Tomas Svoboda has been returned to a skilled care center near his home in Portland, Oregon, after undergoing a 2nd surgery. In spite of the initial medical prognosis after his stroke, Tomas Svoboda's spirit and determination to fully recover has become very apparent, as there are now daily signs of improvement in speech, transitioning to eating some food normally, etc.. However, Tomas Svoboda is still paralyzed on his right side. In spite of that, when his publisher visited him last week, it was noticed Tomas Svoboda was constantly moving all five fingers of his left hand, on top of his bed cover, as if playing a piano. When questioned about that, Mr. Svoboda, uttered, "I'm hearing music." When asked what kind of music?...Tomas Svoboda responded..."my next composition". He'll be questioned during a future visit about what he's composing! Additiional information & audio samples at: CD Baby. 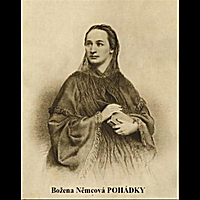 Narration of a Czech folktale "O Slunečníku, Měsíčníku a Větrníku" by Božena Němcová. Op. 98 (movts. 15 & 16)"
Program: "Art Music Live in the 21st Century"
Title: "Tomas Svoboda: Retired? Hardly!" To read article, visit Oregon Music News. Title: "What's age got to do with it? Music in the key of time." Subject matter: A look at the concept of "late style" artistic endeavors in general, with a focus on two of Oregon's musical elder statemen, Tomas Svoboda and David Schiff. Sequenza21 reviews Tomas Svoboda's new Children's Treasure Box CD recording. Full review of CD at Sequenza21.com. "These are fun little pieces that will engage and entertain young beginners...and I think there is charm and wit for any level of pianist." Created 410 new webpages containing 894 pages of sheet music in the GIF format. Faster page loads, plus Adobe Acrobat Reader no longer needed to view music samples. PDF files, however, have been retained for use in printing or downloading music samples for offline perusal. ...to the Recordings (Discography) webpage, with a link to the CD's own page, which now contains mp3 audio clips of Tomas Svoboda's AUTUMN for Koto, Op. 110.
from the upcoming "String Quartets - Nos. 1-4" CD. 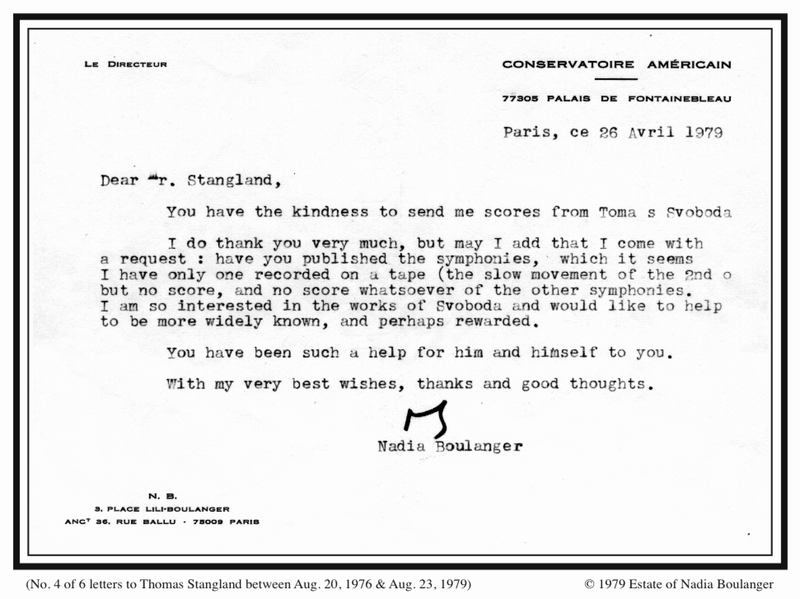 from the "Piano Concertos" CD. from the "Orchestral Works" CD. AUDIO CLIPS: 51 sample mp3 audio clips from Tomas Svoboda's upcoming CD recording of his "Children's Treasure Box", four-volume piano series, have been posted on the Piano Works and Audio Clips webpages. Additional sample sheet music will be posted, as well. OREGON PUBLIC BROADCASTING (TV): Featured profile of Tomas Svoboda on television program "Oregon Art Beat." 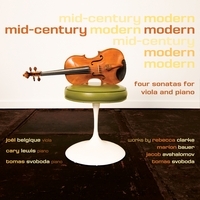 Sequenza21.COM: lists Oregon Symphony's "Tomas Svoboda - Orchestral Works" CD as one of their "favorite" CD's of 2003. To see complete list: visit Sequenza21.com homepage. Look for "Duane's Favorite's 2003". Visit Orchestral Works CD recording webpage. CD Reviews: Sequenza21.com" review of Oregon Symphony "Tomas Svoboda - Orchestra Works" CD. "Amazon.com" customer reviews of the Oregon Symphony "Tomas Svoboda - Orchestra Works" CD. Boston Symphony Orchestra: Tanglewood; "Overture of the Season, Op. 89" performance; James DePreist, cond. Radio Broadcast: "Radio New Zealand" airs entire "Nine Etudes in Fugue Style (Vols. 1 &) for piano" CD.